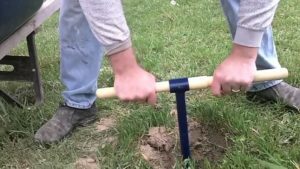 This video series shows how to dig yourselves a water well by hand from start to finish and thereby save more than 2000 to 3000 Dollars .I am using a 6″ auger post hole digger available at most hardware stores. One of the hurdles to living off grid is having a clean water supply. One of the very best ways to address that issue is with your own well..Learning how to dig a well is a good lesson that every prepper should master.Even if it doesn’t come to a survival scenario, having your own water supply means that you’re basically off the grid. You’re not dependent upon third parties.